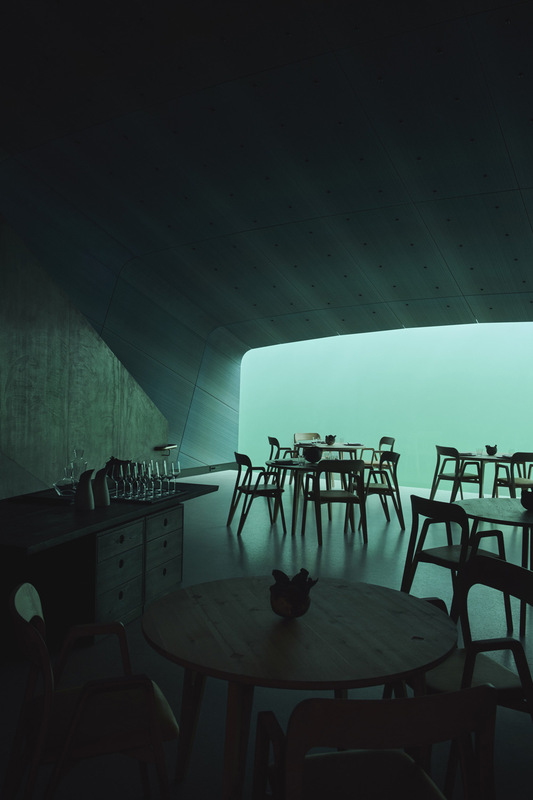 Snøhetta designs the first Europe’s underwater restaurant in Lindesnes, Norway. The structure is placed at the point where the sea storms from the north and south meets. Here the waters biodiversity are rich in marine species. The restaurant has also a function of research center for wild sea life. The word “under” has two meanings in Norwegian “below” and “wonder”. 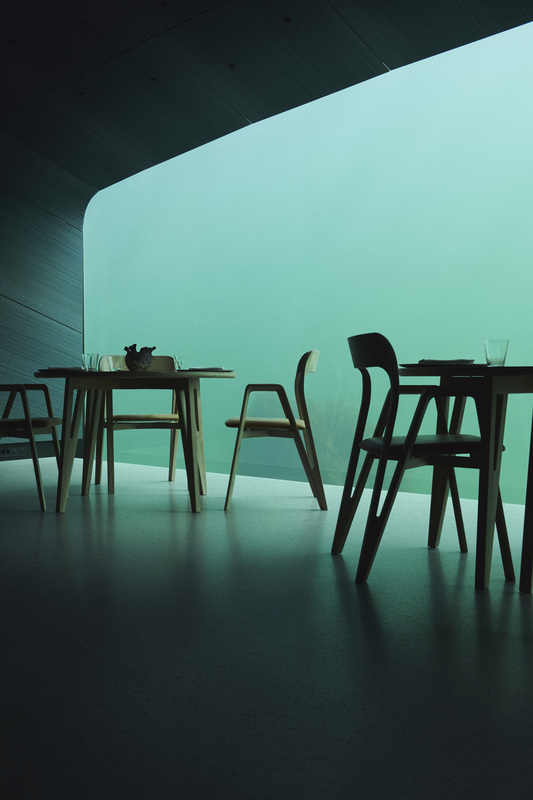 This sublime restaurant is a 495-square-metre structure fronted by a huge panoramic window and can seat up to 40 people. 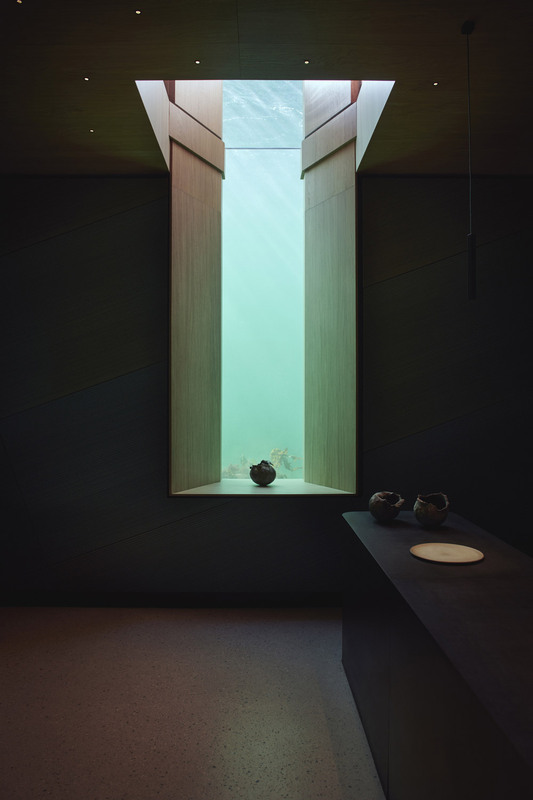 The window will offer different views during the seasons and water changes. The exterior is designed to integrate into the marine environment over the years and function as an artificial reef. 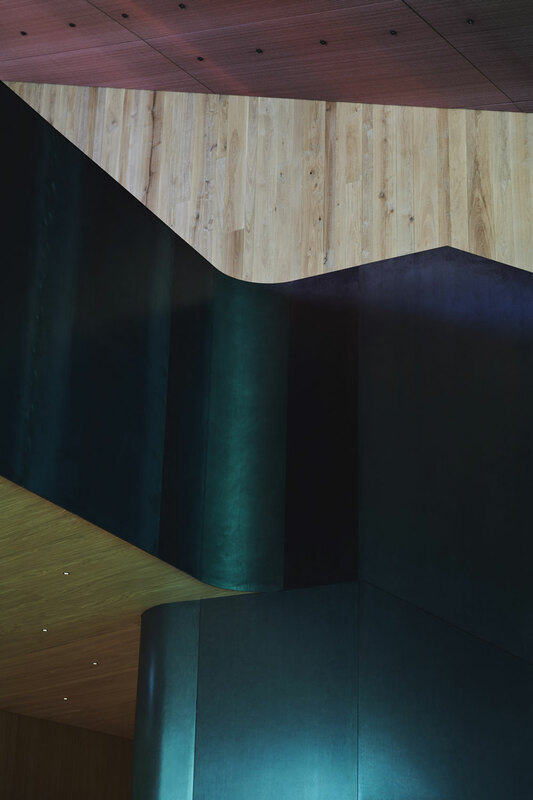 “Under is a natural progression of our experimentation with boundaries,” says Snøhetta Founder and Architect, Kjetil Trædal Thorsen. Under is a story of contrasts; the contrast between the landscape and the sea; above and below. The project underscores the delicate ecological balance between land and sea and draws our attention to sustainable models for responsible consumption.